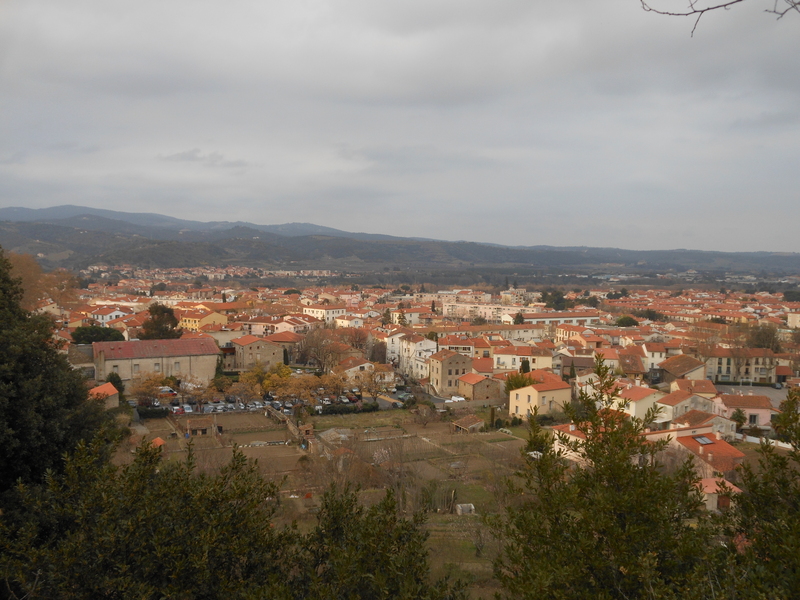 Céret is a small border town that sits just on the other side of the Pyrenees in southern France. A friend has a family friend with an apartment in this quaint ville and we were invited to stay for the weekend. Leaving Friday morning, we broke up the two hour train ride by stopping in Figueres to visit Salvador Dali’s museum. The museum, topped with a massive dome reminiscent of Epcot, houses many of Dali’s works and shows the evolution of Dali’s creative, signature style. After touring the surprisingly vast collection of paintings, sculptures, and other creations, I finally came to terms that I am indeed not a fan of modern art. While it is apparent that Dali had quite the imagination to dream up such perplexing works, they failed to instill a sense of wonder or appreciation for me. 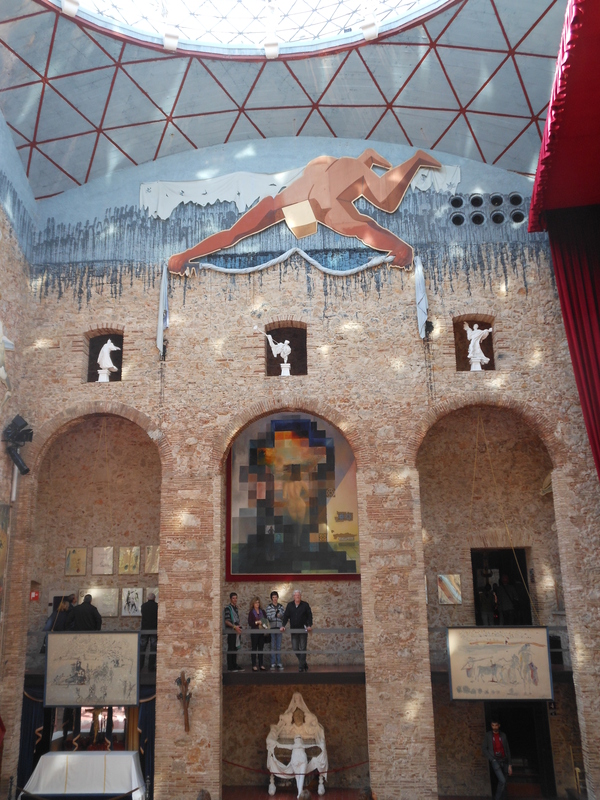 If you do enjoy the work of Dali and his contemporaries, then a trip to Figueres and the museum is required. Despite this initial setback, Dali did not completely disappoint; his jeweled creations were captivating and I was able to wonder at just how Dali was able to think of, and then bring to life, such radiant manifestations. One piece involved a jeweled heart that actually had a pulsating movement to it. Incredible. 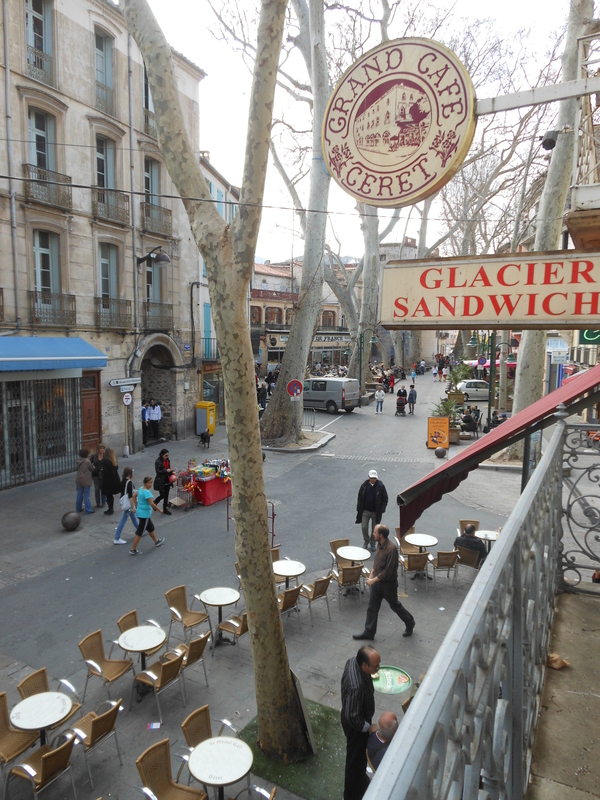 Our host Carl picked us up in Figueres, about a twenty five minute drive to Céret, and when we pulled into town, we were inundated with the charm of the small French town. The narrow streets, miniscule even by European standards, barely fit our car and pedestrians sometimes had to slide into doorways in order to avoid the mirrors. Carl took us up to the apartment and introduced us to the beautiful view from the balcony, warmed by the Mediterranean sunshine. The most welcoming individual, Carl brought out some snacks and French beer and we basked in the heat while looking across the valley. A true French dinner, made by our host himself, ended with a tray of four cheeses and the epoisses stole the show. Filled to the brim, the comfort of a bed quickly became irresistible and we turned in. The next morning we woke up in order to make it to the weekly Saturday market. It seems that the whole town of Céret is in attendance, either buying or selling fresh produce, homemade crafts, or delicious beignets. 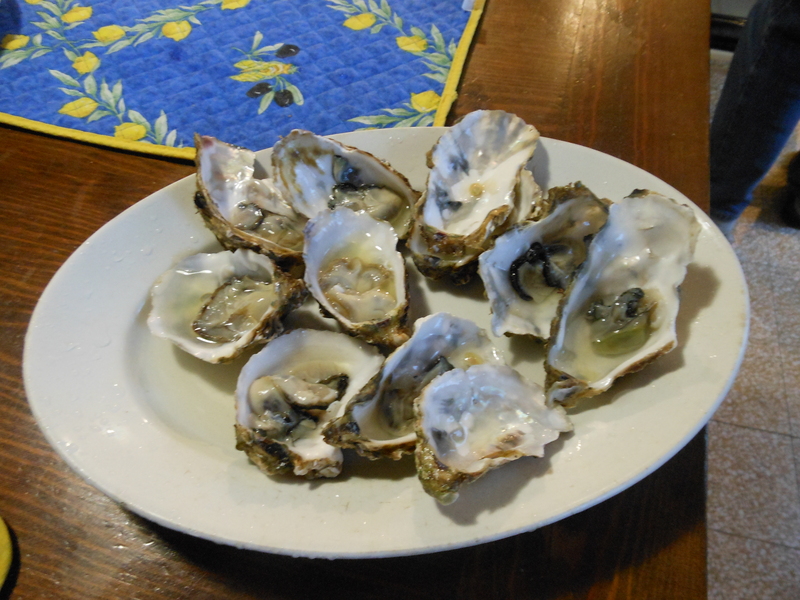 We picked up ingredients for dinner that night along with a dozen very, very fresh oysters (a personal favorite) to snack on that afternoon. I was again able to practice some French and was more than pleased at my ability to keep up with conversation. After a pitstop at the Café de Paris in the center of town for some café au laits, we went back to the apartment and could not escape the calling of the balcony drenched in sunlight. After an excellent respite, it was time to celebrate another Carnaval with the town of Céret. Carl’s friends, an elderly British couple Mavis and Bob, invited us to an apartment with a balcony above the parade route and we watched the raucous parade from the perfect vantage point. Evidently the parade goes through town twice, as if once was not enough, however we elected to leave after the first lap. My friends and I went exploring up a hillside and captured phenomenal views of the whole area before the sun finally set. Dinner that night again followed the delicious French fashion, however, this time it was a demi-sec goat cheese that stole my fancy at the end of the night. After genial conversation and a quick check in on the NCAA tournament, we set for bed in order to rise early enough to take one last tour through town in the morning. We had a final café au lait at The Grand Café and walked the confetti-strewn streets one last time before Carl drove us back to Figueres to catch the train back to Barcelona. 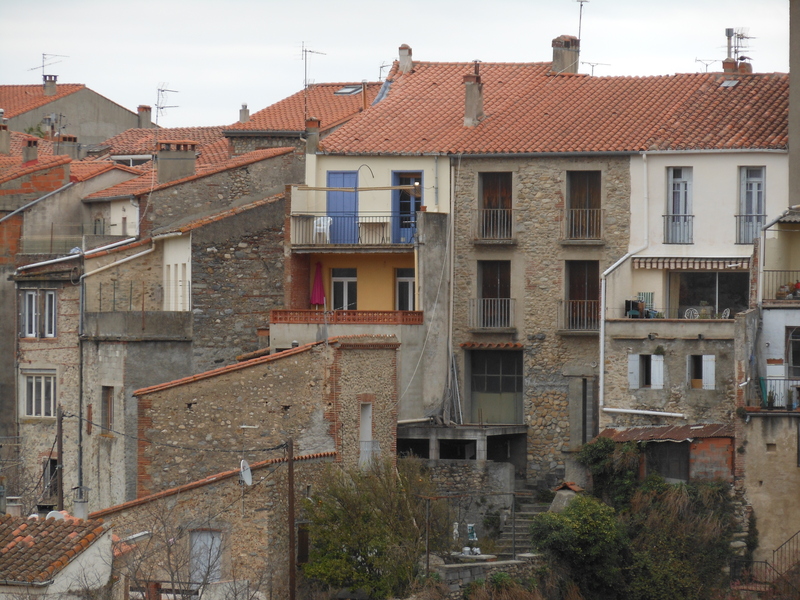 The weekend in Céret was relaxing and everything I needed to enjoy my time back in France. I also think I found the perfect retirement community for myself in 50 years or so.